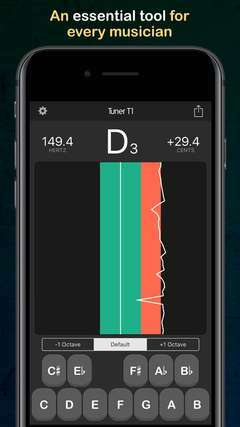 Tune any musical instrument (guitar, violin, viola, bass, cello, flute and many more) with this simple chromatic tuner. 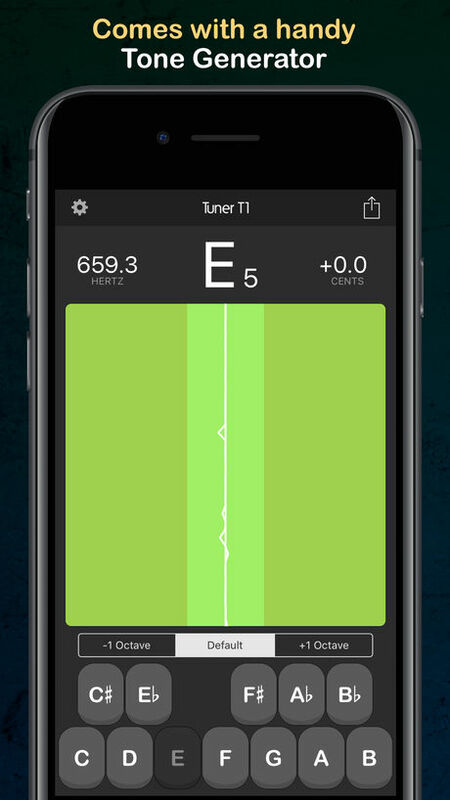 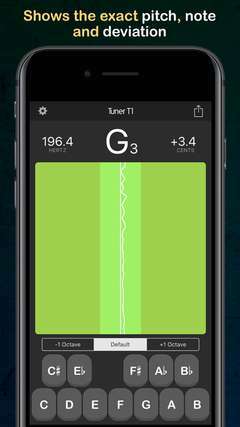 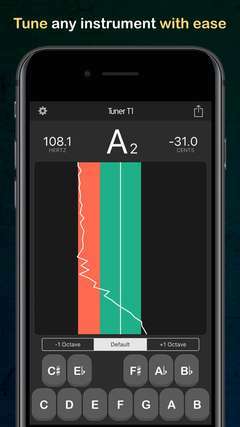 Tuner T1 also comes with a handy Tone Generator that plays any musical note as reference for tuning. A must-have tool for musicians. 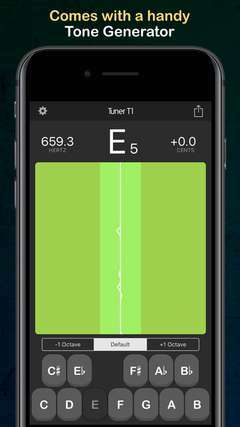 Simple to use chromatic metronome that listen to the pitch. Visual graph displays how the pitch is changing dynamically. 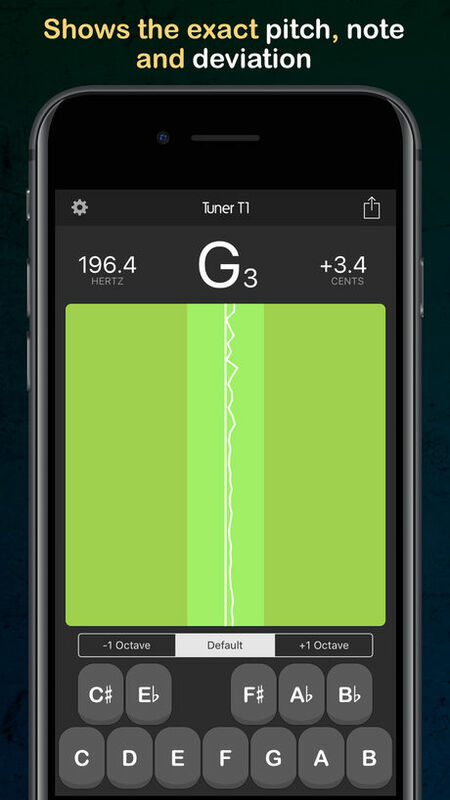 Ability to set the frequency of A₄ (for tunings where A₄ is not 440 hertz).